Special occasions always call for dessert. Tomorrow, another big (and a little scary) occasion is about to take place – my last panel session at the commercial department of the Higher Court of Ljubljana as judicial trainee. I think it is only right for me to treat the judges and judicial advisers of the panel with a little (sweet) treat since they’ve accepted me really nicely and have been a big part of my life for the past three months. I’ve been thinking about what to bring them – it had to be practical (i.e. not requiring any forks, knifes or spoons), it had to look good and most importantly taste delicious. After coming to a decision to make muffins, it was time for me to decide which. I wouldn’t be myself if I didn’t decide to go with a recipe I’ve never tried before. Go big or go home, right? So the only thing left to decide was whether I should make a regular muffin to please the crowds or stay true to myself and make a healthy version. 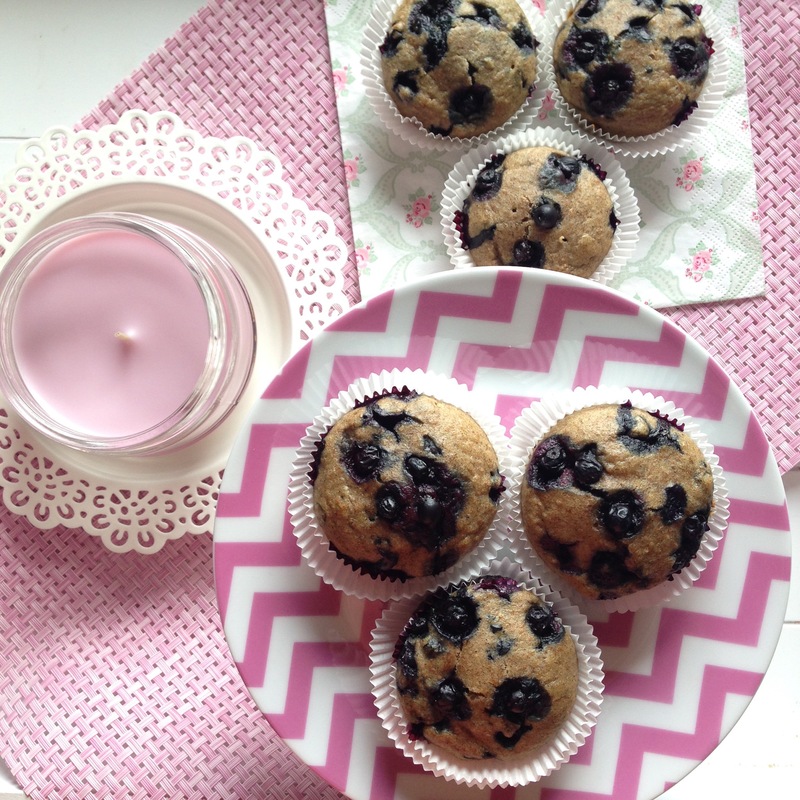 In the end, my desire to actually taste what I baked prevailed, and I went for these delicious blueberry banana muffins. I added some Sukrin and spices to the original recipe because the muffins still needed to be sweet and the bananas just didn’t give them enough sweetness. 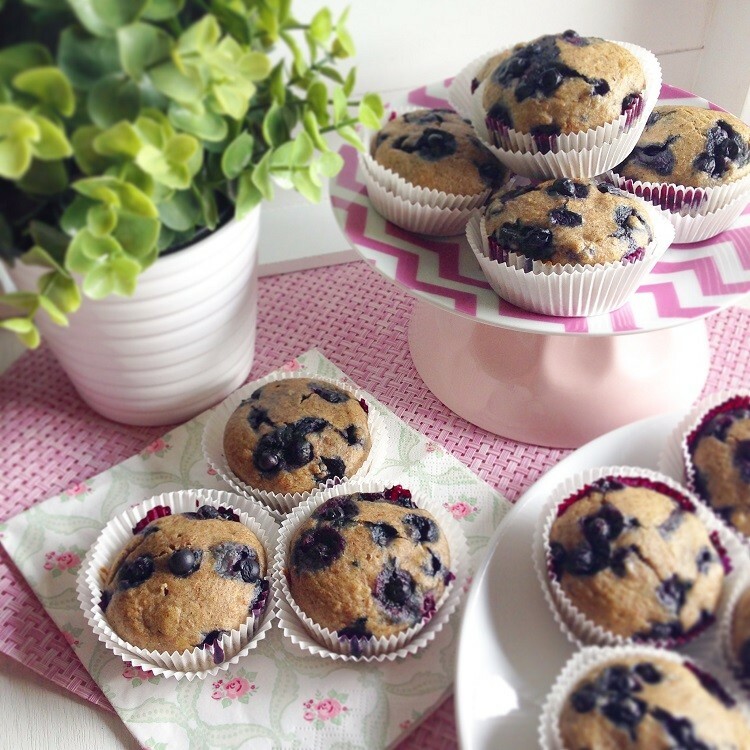 I think these muffins are a perfect compromise – healthy, but still a crowd pleaser. So keep your fingers crossed for my last day tomorrow and for these muffins to be a big hit! 1. Preheat an oven to 180 degrees C. Line 20 muffin cups with patty cups. 2. Mix together mashed bananas, egg, water, and oil in a large bowl. Add Sukrin and spices and mix well. Mix in flour, baking soda, and baking powder until mostly smooth (apart from any remaining banana lumps which are totally fine). Gently fold the blueberries into the batter. 3. Fill up the muffin cups about 3/4 full and top with a few more blueberries. Bake in the preheated oven for 15 minutes. Remove muffins from tins, and cool on a wire rack.